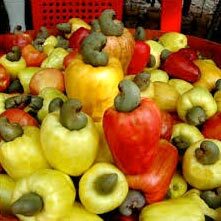 Our company is bracketed with the leading Exporters and Suppliers of Raw Cashew Nuts from Thailand. Procured from the reliable sources, Our Organic Raw Cashew Nuts are properly cleaned and processed under controlled conditions. They are high in fat content and help in increasing body mass. Our Natural Raw Cashew Nuts are well acclaimed for their impurity free nature, taste and crunchiness. We make available Raw Cashews in premium grade packaging material at the best market prices.